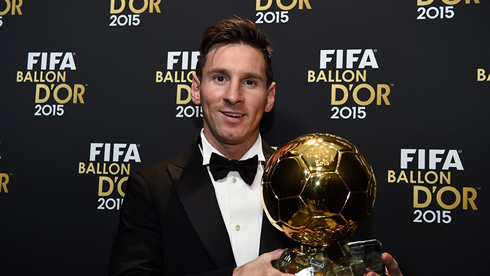 The 2015 FIFA Ballon d'Or ceremony was held today in Zurich, Switzerland. Unsurprisingly, the big winner of the evening was Barcelona's ace Lionel Messi, who ended up taking home his 5th Ballon d'Or after receiving 41.33% of the votes. Cristiano Ronaldo finished second with 27.76% and Neymar was third with 7.86%. 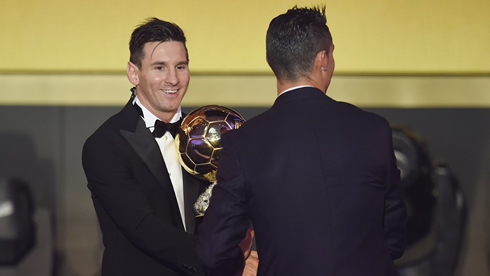 After winning the award in two consecutive years, Cristiano Ronaldo had to settle in being the runner-up this time around and witness Lionel Messi taking center stage to collect his 5th FIFA Ballon d'Or of his professional career. 2015 has been Barcelona's year from all kind of perspectives, with the Blaugrana lifting 5 different trophies in the course of the year. Messi naturally played a key role in his team's campaign, so it was without much surprise that we all saw his name being announced when the moment of the truth came. 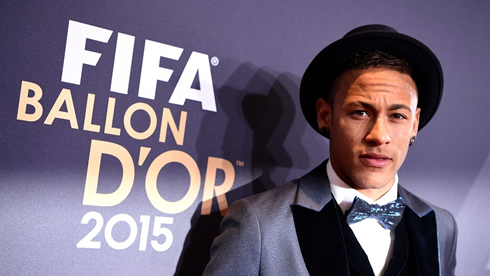 The Argentinian gathered 41.33% of the votes, Ronaldo had 27.76% and Neymar 7.86%. The remaining votes were cast on the other 20 candidates from FIFA's shortlist that had been announced last October. 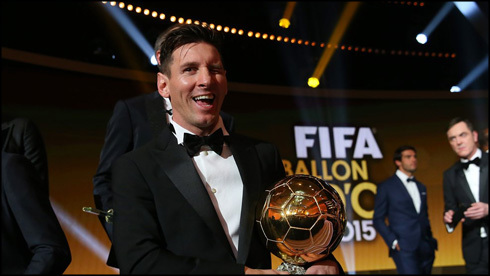 The full voting list was made public and it can be seen in the following link: FIFA Ballon d'Or 2015 voting list. 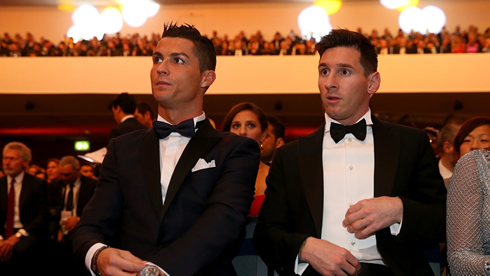 For the past 8 years, the winner of the Ballon d'Or has always been a duopoly between Cristiano Ronaldo and Lionel Messi. 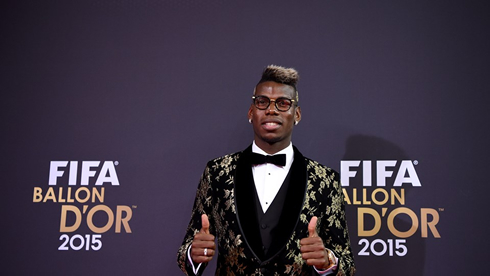 It wasn't any different this year, as the Argentinian ended up dethroning the Portuguese superstar and won his 5th award of this kind. Quite an achievement for Barcelona's main man, especially if we have in mind that no other player in the history of this game has ever won more than 3 of these. Cristiano Ronaldo for example, comes right behind him and precisely with 3 awards in his personal cabinet (2008, 2013 and 2014). The Men's Coach of the Year award was also destined to be taken to Barcelona, as Luis Enrique naturally wrapped it up after having won 5 of the 6 competitions where his team was involved in 2015 (La Liga, Copa del Rey, Champions League, UEFA Super Cup and the FIFA Club World Cup). The only trophy missing there was the Copa del Rey, as Barça got defeated by Athletic Bilbao in a 2-leg battle played in last August. 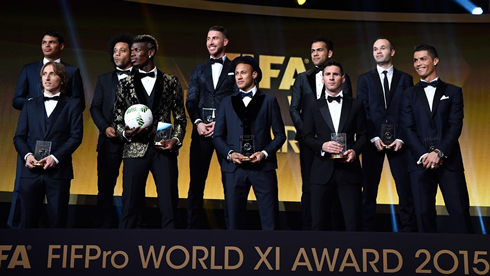 - FIFA FIFPro World XI: Neuer; Marcelo, Sergio Ramos, Thiago Silva, Daniel Alves; Modric, Pogba, Iniesta; Neymar, Messi, Cristiano Ronaldo. As it usually happens in ceremonies like these, the real stars of the show ended up granting several statements to the press. 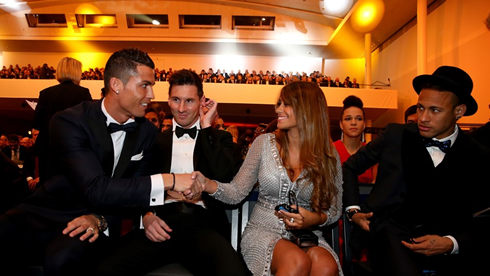 The final 3 candidates of the FIFA Ballon d'Or 2015 have all been very gracious to each other and it's been quite recomforting to see that they all get along so well despite the Real Madrid and Barcelona heated rivalry. Lionel Messi: "This is a very special moment for me, especially after seeing Cristiano Ronaldo winning here for the past two years. It's incredible that I've now won 5 of these awards. It's a lot more than I could imagine when I was a little kid. 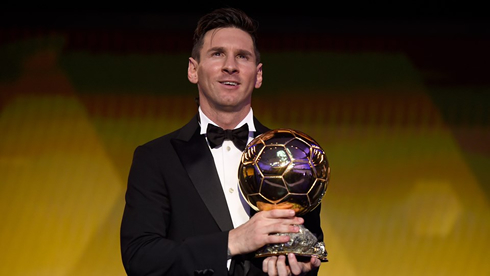 However, it's true that I would trade all these 5 Ballon d'Ors for a FIFA World Cup title with Argentina. I also want to finish my career where it all started for me, in Barcelona." 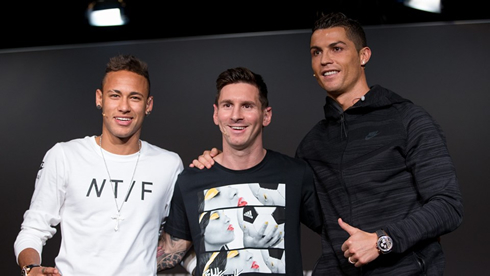 Cristiano Ronaldo: "If I'm here is because I've done well throughout the year, but it's no surprise that Messi and Neymar were in a better position to win the award than I was, since they did win a lot of trophies for Barça. If I could have something from Messi's game, I would go for his left foot. It's not that mine is that bad, but his is probably a bit better." 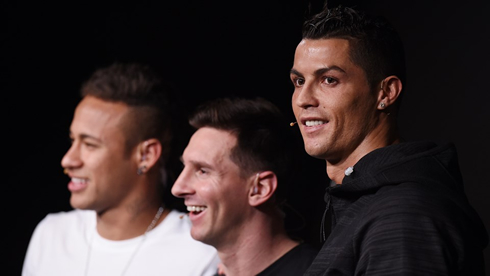 Neymar: "I don't know if I'm on the same level as Cristiano Ronaldo and Messi. They are both players I admire a lot. I've been watching them playing since I was a kid and it's really amazing to have the chance to be here next to them. I don't want to be obsessed in becoming better than anyone in particular, I just want to improve my game and become the best player I can be." Cristiano Ronaldo next game will be for Real Madrid in La Liga on the 17th of January of 2016, against Sporting Gijón. You can watch Juventus live stream, Real Madrid vs Sporting Gijón, Espanyol vs Barcelona, Newcastle vs Manchester United, Aston Villa vs Crystal Palace, and Bournemouth vs West Ham, all matches provided from our soccer live game pages.